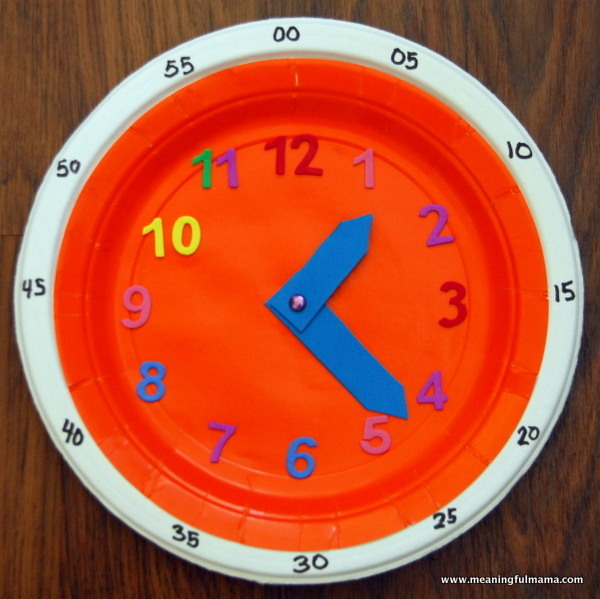 Telling the time is such an important skill to have growing up (without it, its impossible to master other important skills such as being on time!!) so I like to encourage the children with time telling and being aware of time, at the level they are each at. Mr Z at 5.5 years has been able to tell the time reliably a couple of years now. He loves anything to do with numbers, so clocks have always grabbed his interest and he picked up the concept of time quite quickly. Mr T at 4 years has not mastered telling the time yet, although he is able now to recognise a lot more of his numbers which is the first step for him. Even Mr R at 2 years can start to learn awareness of time although he does not really know his numbers yet. There are different elements to learning to understand and tell the time, and I haven’t always started with a clock for my children although once they understand a little more then a clock does become essential! You try just using the little ones from board games or if you find your child really responds well to it get giant sand timers in a variety of times, such as 5 mins or more. This helps as it makes such an abstract concept totally visual. 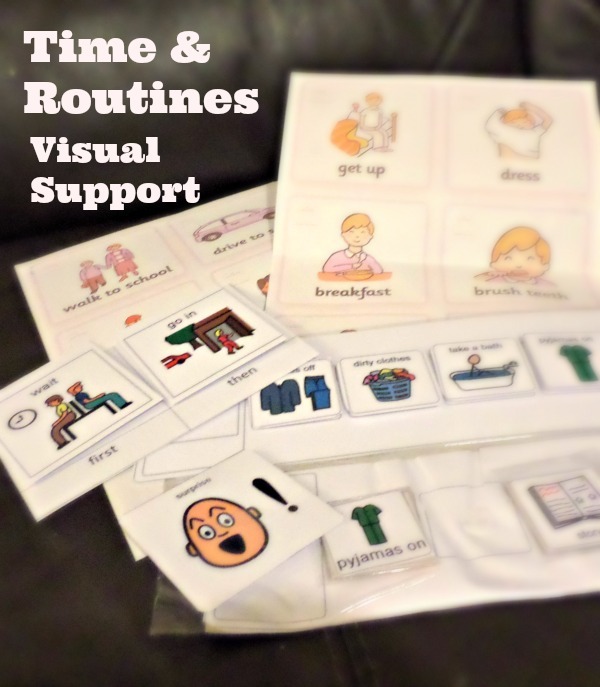 We were recommended when I did the Early Bird course after Mr T’s Autism diagnosis because children with Autism can really respond much better to this kind of visual support but it will help any child to learn! Mr T used to have a very poor understanding of time or the concept of time and waiting, and he would become so upset at the prospect of waiting even 30 seconds! For that reason it became essential to work on his understanding of time for his own well being and happiness, as it’s just not realistic for a child to never have to wait ever! As well as showing him visual support for time, such as sand timers and I also used the timer on the microwave on occasions (he could see the numbers changing and new to wait for the beep), or counting down numbers slowly on our fingers, I tried to use consistent terminology with him to help him understand time, sequences and waiting. The words we chose for this are “now” and “next” – I was advised that this can be clearer for children to understand than some of the other words like “after” “bla bla and then”. Now and next is short and sweet. Note the “Surprise!” card – always important to include if you are learning daily routines with a child who is likely to be too rigid in their routines! We do also use clock puzzles and daily routine and time matching games at home, which are great for helping to build awareness of how clocks work and how time is shown and recorded. From what I’ve noticed, children can vary so much in how quickly they will pick up the concept fully. Ours is slightly different to this but along the same lines. These type of wooden clock puzzles are so cheap, you can easily find them for under £5 and they help to reinforce how the numbers look around the clock, and help younger children learn and remember the sequence of the numbers. Ours has all the numbers as removable pieces so this one is a slightly easier version. This book was a great favourite with Mr Z when he was about 3 years old. Linking in learning topics to your child’s favourite interests always helps so anything Thomas related always appeals to my little guys and keeps their interest! On each page he would match the clock hands to the correct time mentioned in the story as the Fat Controller and the engines go about their day. It’s a great book to help learning about time. Orchard Toys always tend to have great educational products for more topics, and telling the time is no exception! Having clocks and watches around the house is definitely a help too. You can buy children’s watches cheaply from many places including The Watch Hut. I find it best to have a mix of digital and analog so that they can easily get used to both. Otherwise I have known children who are great at telling the time on digital clocks but find it really hard to translate that over to an actual clock face. Once they have learned the basics of telling the time, this can be used to help support them in taking responsibility. Mr Z knows that he can come downstairs at a certain time of morning and that he needs to be dressed by a certain time in the morning. So normally I wouldn’t have to remind him too much as he knows. This means that he’s free to play or do his own thing when it is earlier than that, as long as he keeps an eye on the time and does what he needs to do. The result of that is less nagging, a little more independence, and no conflict if your child is able to take that responsibility on board and follow the schedule! Mr T and Mr R are still way far off that so I do still have my fair share of chasing children and trying to keep them on schedule in the morning. If they are interested in time then you can use that to help support other maths concepts in a practical way throughout the day. Mr Z is always interested in looking at the times on the sat nav and the car display while we are travelling, which gives him something to occupy himself on journeys. It keeps him busy as he can calculate the journey length, when we should arrive, how it’s been affected by traffic delays and anything along those lines. This means as well as telling the time, it gives him a chance to practise addition and subtraction while he works these out and it’s all totally practical information that he really wants to know and will affect his day, rather than just worksheets. Not that work sheets don’t have their place, as my children all enjoy those too! 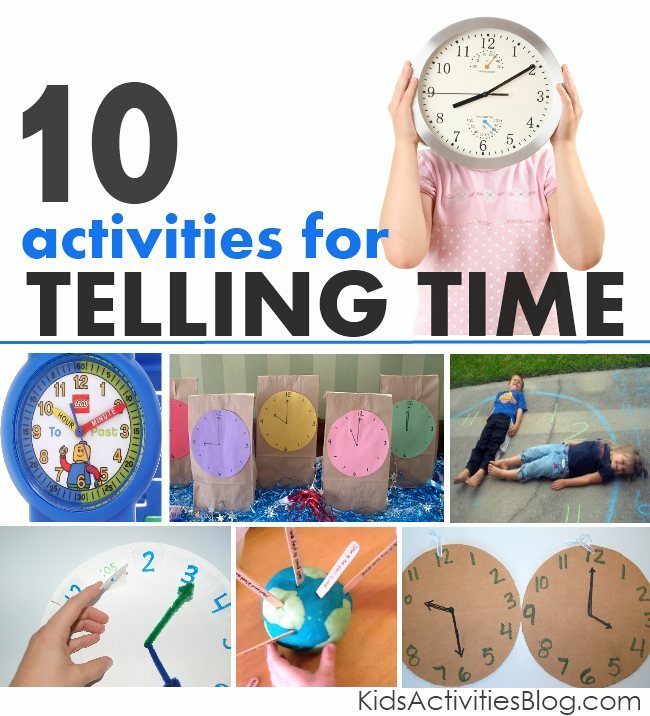 What activities do you use with your children to help them with telling the time or understanding time? Share them with us in the comments! 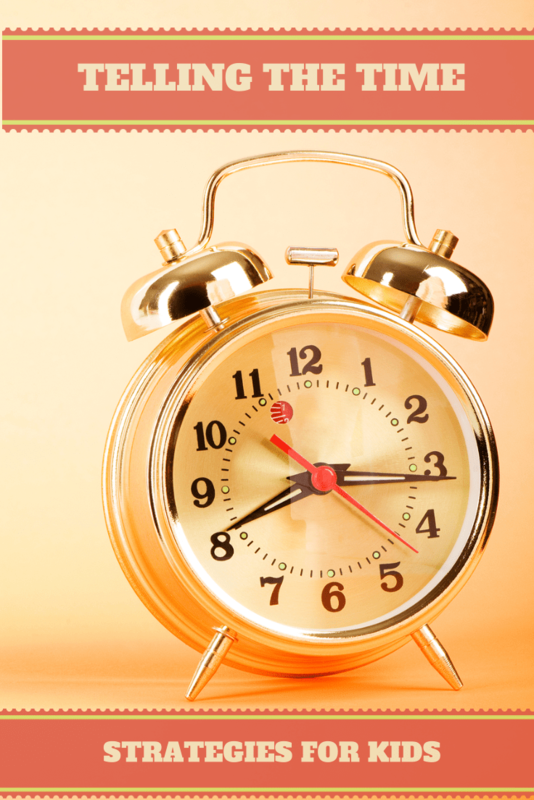 Some great ideas – we have the Tell the Time game, will have to get it out and see if it helps! Great ideas, I think my son would love that Thomas book! Really great ideas. We love the Orchard Toys game! Thank you for sharing all your tips. 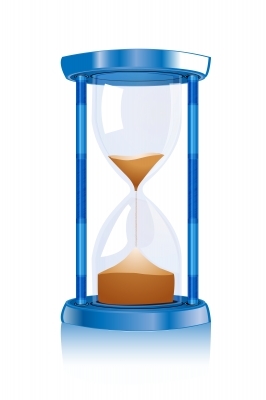 We are working on the sand timer at the moment as we have the same problem with the concept of ‘in a minute’. 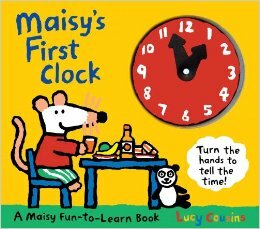 Great ideas there – Kitty is just starting to show an interest and grasp telling the time. I think it was the watch someone gave her for christmas that gave her the final push to want to learn! Some great ideas. i think it really does need to be fun. I can remember crying trying to learn to tell the time when I was 4. I got sooo frustrated by it! Thanks so much for including me in your great round up! Great post. Thank you for including me here! you given me some really great ideas for teaching my kids how to tell the time, thank you. I love the idea of making a sundial clock – I remember bits of learning to tell the time as a child – I have to admit to being a lazy adult and liking digital better. great ideas. 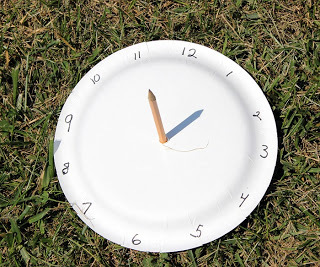 I saw that sundial paper plate craft somewhere last week and thought I would make that with 6yo this weekend. spicers1976 recently posted…Fries With That? Laura Halls recently posted…Turning 9 & Not A Clue What To Buy! D is quite interested in time and we love Orchard Toys – so might have to look out for that game! My little ones as yet have no idea of the time, but one of the older ones was really rigid with it. When it came to 12 noon or 5.00pm she’d come and stare at you until you provided her with food! These are great tips. I remember being uite obsessed with numbers as a child and learning to tell tie at an early age. I used a large children’s watch and my younger sister got the big shiney cardboard clock that came with it to play with. She later got her own watch but never learned to tell time on an analog clock, at least not as well as I did She still has difficulty telling time on analog clocks. I unlearned this skill somewhat too as I am so used to digital clocks and can’t see visual clocs anymore and the analog braille watch I had I couldn’t work with. Superb ideas. My son will love the Thomas the Tank Engine book. What a brilliant post, such great ideas and tips – I LOVE the sundial idea, weather permitting the little lady and I will try that tomorrow. This sounds like a fun way to learn to tell the time. Great post, we have that Thomas book and Monkey got a wooden teaching clock for Christmas, we have a game too. Wonderful ideas! I am featuring this on Makeovers & Motherhood’s Welcome Party Wednesday Link-Up! Thanks so much for sharing!